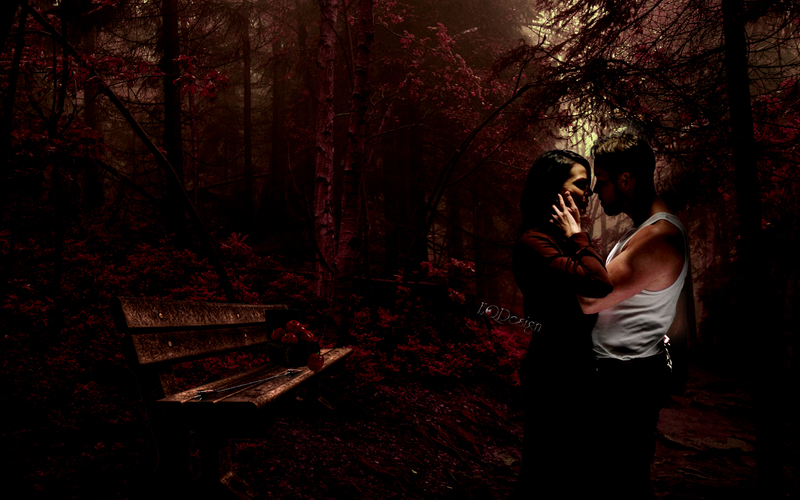 Outlaw Queen In The Forest. Please give credit if آپ use it یا post it somewhere else!. HD Wallpaper and background images in the Once Upon A Time club tagged: photo once upon a time outlaw queen robin hood regina mills the evil queen evil queen lana parrilla sean maguire ouat fan art eqdesign eq design oncebg. This Once Upon A Time wallpaper might contain پارک بینچ.